Beijing, China: New Star Press, 2010. 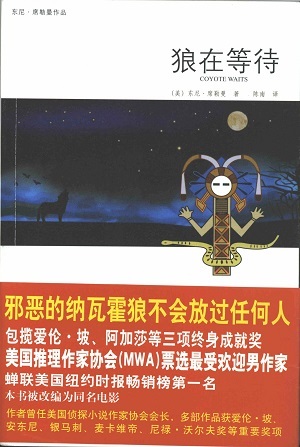 This is the first Chinese edition of Coyote Waits. This 2010 edition was published by New Star Press in Beijing, China. The text was translated into Chinese by Chen Nan. The front cover features a coyote howling at a darkening sky with a Yei figures and snake in the foreground. Format: Paperback, 21.8 x 14.5 cm.